This week, we’re kicking more franchises while they’re down. Some of them were actually good franchises that we liked, but the networks failed them. 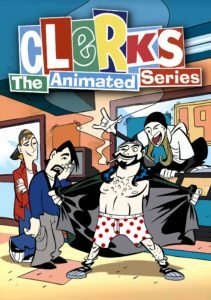 Clerks: The Animated Series. Young Justice. Good franchises, but they just didn’t have the interest or network execs behind it to carry it on. Join us this week as we discuss some of our favorites that, for whatever reason, failed.